Animal lovers—this one’s for you. Enjoy a hassle-free day with hotel pickup, drop-off, and transfers included. If you’re traveling with littles ones, they’ll stay entertained on the journey as you’ll watch videos on board. Avoid long visitor lines with entrance tickets provided. 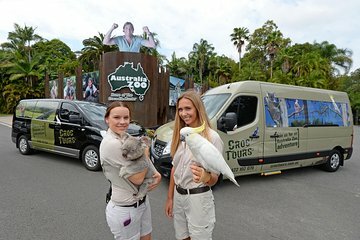 Highlights include live wildlife shows, and seeing tigers, giraffes, rhinos, crocodiles, Tasmanian Devils, Kangaroos, and one of the world’s largest animal hospitals.